(A) A portion of the Arctic where global warming has melted parts of the Polar Icecap. (B) A part of the Sahara Desert where snow has fallen for the 2nd time in 40 years? Reason #12 – When is weather “climate”… and when is it just “weather”? You see, a hot spell is “climate” … and ample proof of the warming dogma. OK, lets fast-forward to the past couple of bone chilling weeks. 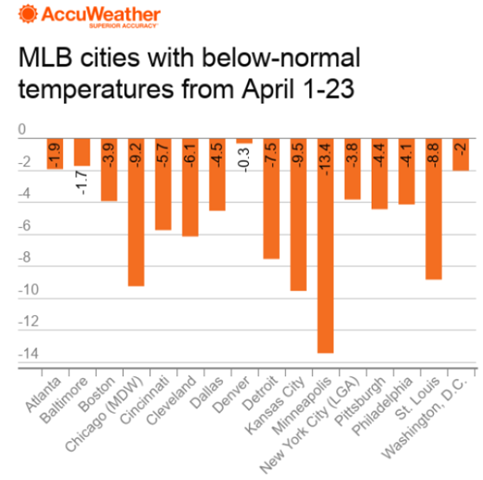 I grew up in Cleveland and lived in Minneapolis, Chicago and Connecticut … so I know snow and cold. These past couple of weeks have been the worst prolonged deep cold spell that I can remember. 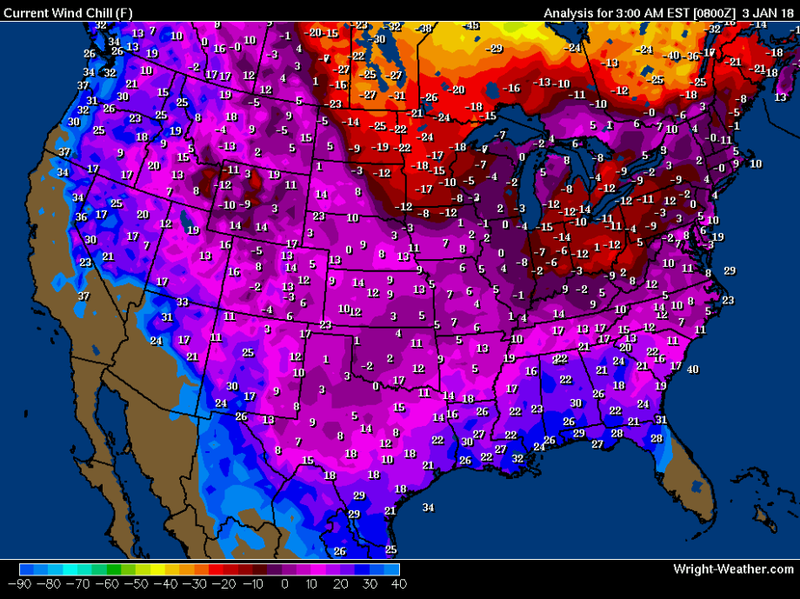 And, the record low temps are spread wide … and deep into the South. Of course, global warming skeptics have headlined the cold spell as an inconvenient fact for global warmists. The warmists simply school ignorant skeptics by dismissing the cold spell as “weather” not “climate”. So, when is weather “climate” … and when it it just garden variety “weather”? And, I’ve personally had the eyes of 2 hurricanes literally pass right over my house, so I’m aware of their devastating potential. I have friends and family in Houston and scattered around Florida. They and other hurricane victims have my deepest sympathy. Then, a celebrity phone-a-thon for Harvey & Irma victims prompted me to add to the list. The quote is generally attributed to Rahm Emmanuel – former of Obama chief-of-staff and currently Mayor of murder- riddled Chicago. At 8 o’clock, I tuned in the see the semi-finals of my favorite TV show: America’s Got Talent. Imagine my disappointment when I saw that the show was being delayed (to past my bed time) for a celebrity fund-raiser. OK, I figured … let’s watch an hour of pros sing and dance. Cue the first act: Little Stevie Wonder … err, I mean Stevie Wonder … err again, I mean Steven Wonder … whatever. 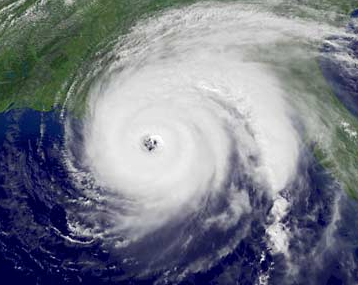 He made a lightning-fast pivot from the hurricane disasters to climate change. Last night’s celebrity phone-a-thon for Harvey & Irma victims prompts me to add to the list. Last night, the credo was put into action. 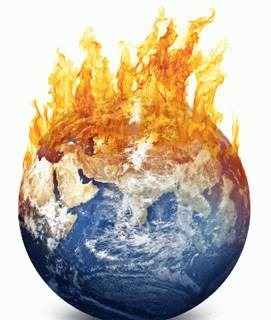 In a prior posts, I covered: (1) Unsettling science (2) Expired doomsday predictions (3) The “97% of scientists” baloney (4) Dinking with the data (5) Temperature readings – plus or minus (6) What’s the earth’s temperature? (7) The Climategate Emails (8) Low on American’s worry list and (9) Seen a Volt recently? China has reached record-breaking levels of air pollution that the monitoring equipment can no longer keep track. Unfortunately, air pollution isn’t just affecting China. 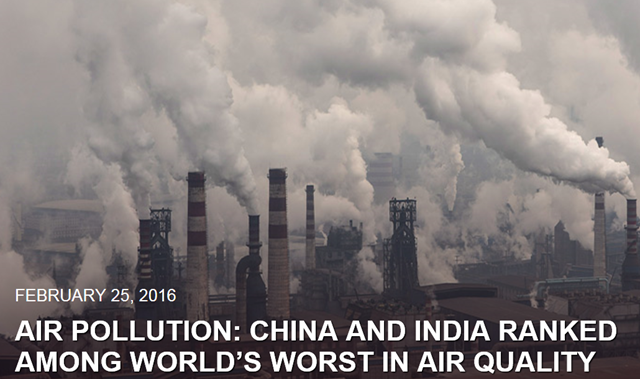 Greenpeace states that India is now the world’s worst when it comes to air pollution. Reason #9 – Seen a Volt lately? In a prior post, we presented some survey data indicating that climate change is far down the list of things concerning average Americans. Survey data is always subject to some interpretation, and surveys often contradict one another. So, let’s look at some hard data. 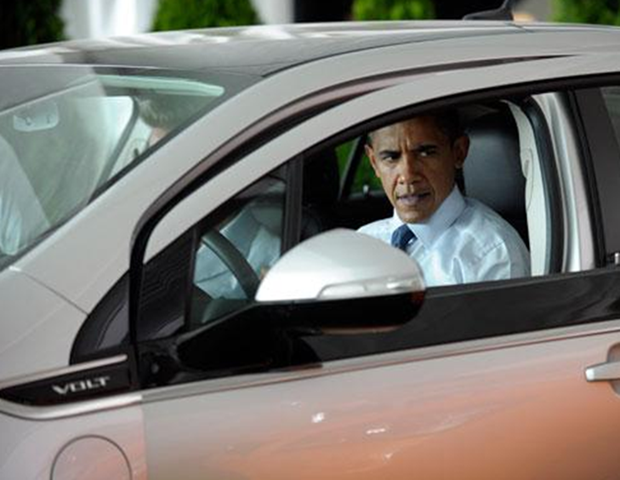 Flashback to 2008: former President Barack Obama set a goal of getting one million plug-in electric vehicles on the roads by 2015. 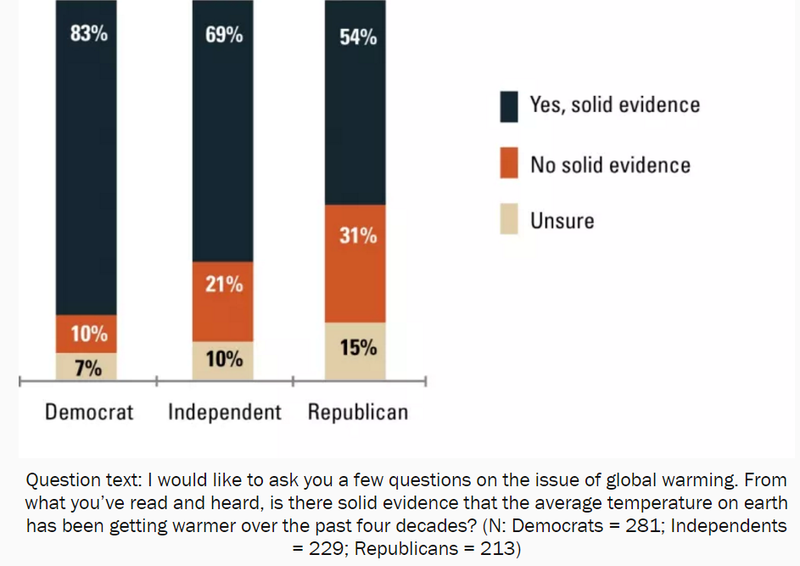 About 2/3’s of Americans think that they’ve read or heard solid evidence that the average temperature on earth has been getting warmer. OK, they say that they think the earth is getting warmer. 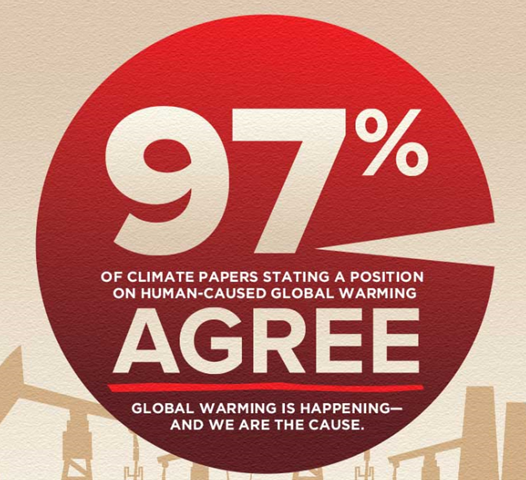 Even if folks agree that they’ve read or heard that the earth is warming, they don’t seem to care much. 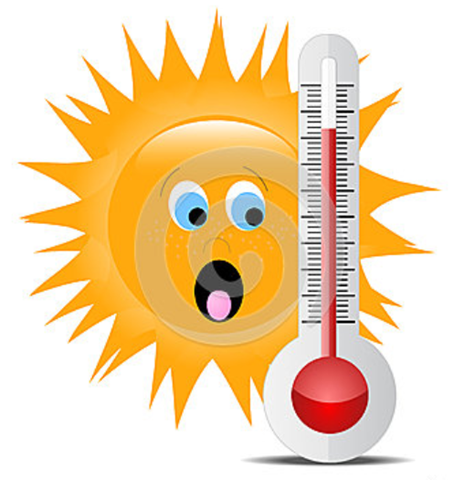 In a prior posts, I covered: (1) Unsettling science (2) Expired doomsday predictions (3) The “97% of scientists” baloney (4) Dinking with the data (5) Temperature readings – plus or minus and (6) What’s the earth’s temperature? 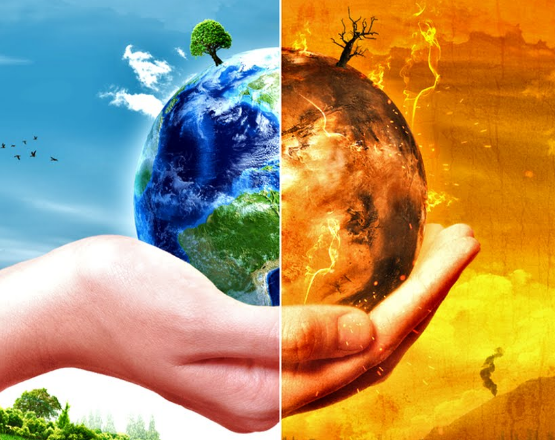 “Climategate” was a scandal involving the hacking of servers at the Climatic Research Unit (CRU) at the University of East Anglia and subsequent public release of thousands of emails among scientists working to prove that humans are causing a global warming crisis. Of course, climate zealots thought the scandal was the hacking. Climate skeptics thought the scandal was the content of the emails. Reason #6: What’s the earth’s temperature? Climate “scientists” are confidently forecasting temperatures to to fractional degrees … 50 or 100 years out. 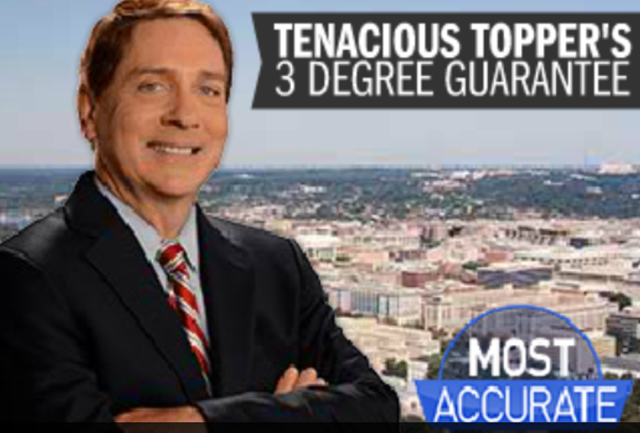 Contrast that to a local DC TV station which promotes a 3-degree forecast guarantee for the next day’s high temperature. That is, if the next day’s high temperature at a specific measurement location (think, Reagan Airport) falls within a specified 6-degree band (the forecast plus or minus 3 degrees), the weatherman lays claim to another successful forecast. The weather guy misses about 10% of the time on a next day temperature forecast … despite a robust 6-degree forecast range. Reason #5: Temperature readings – plus or minus. In a prior posts, I covered: (1) Unsettling science (2) Expired doomsday predictions (3) The “97% of scientists” baloney and (4) Dinking with the data . Let’s start with a personal story…. Last week I had an air conditioning problem that I isolated to the thermostat … specifically, the themometer’s digital thermometer. For openers, I showed the HVAC repair guy my handy portable digital thermometer that was reading 73 degrees … and pointed to the thermostat which was reading 76 degrees. He reached into his bag and pulled out “truth” … a fancy electronic gadget that measures temperatures precisely (or so the guy said). Guess what … “truth” read 74 degrees. OK, so which was the real temperature? We couldn’t get a $1,000 space-age thermostat, a personal digital thermometer (reading temps out to 1 decimal place) … and, of course, the HVAC guys “truth” meter to agree. Climate zealots are confidently reporting temperatures for back 100 years ago (when digital thermometers didn’t even exist). And, they’re confidently forecasting temperatures out a hundred years from now within 1 degree Centigrade. Reason #3 … The “97% of scientists” baloney … an oft-repeated claim based on bad data science: a very small, hand-picked sample of climate change papers, not a projectable sample of scientists … which literally put words into authors’ mouths … i.e. bad data science. Remember the 18-year “”Global Warming “Pause”? Raw recorded temperature data slowed that temperatures had flattened out for a recent 18 year period. English translation: no evidence of global warming. English translation: they dinked with the data. Among the results: the 18-year pause that was evident in the raw data went away (chart above). Scientists that I know wouldn’t think of manually “adjusting” their data when they didn’t get the results they expected. That would be bad science, right? But, it doesn’t seem to deter the climate scientists. Maybe the adjustments are legit … I don’t know. Nonetheless, they seem pretty fishy to me. And, gives me another reason to be lukewarm. 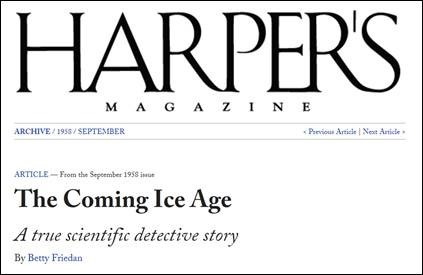 In a prior post, I covered reason #1 … Unsettling Science … I’ve gotten cognitive whiplash from “Ice Age” u-turning to “Global Warming” … which was slowed by an “18-year Pause” … and then wrapped in a catch-all “Climate Change”. Sorry, but this just doesn’t strike me as settled science. 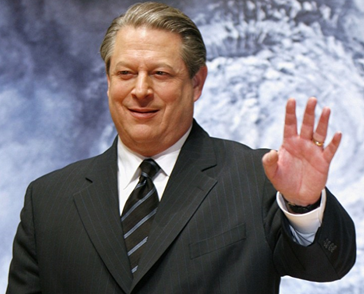 My 2nd reason: Al Gore and his doomsday predictions . Let me be unscientifically caddy for a moment. I think Al Gore is a complete dufass who has raked millions preaching on behalf of climate change. I personally don’t believe a thing that the dude says. Period. As a recovering marketer, I think the zealots would be better off with PeeWee Herman as their front-man. OK, with that out of the way, let’s get specific …. What’s up (or down) with oil prices? I’m sure you’ve noticed that gas prices have come down at the pump. If you follow the economy or the stock market, you’ve certainly noticed that oil prices have come down … a couple of years ago it was selling for over $130 per barrel … now it’s selling for under $35. Most pundits chalk it up to slowing economic growth in China. But, that sounded too simple to me, so I started asking some questions … why’s it happening? who’s getting helped or hurt? 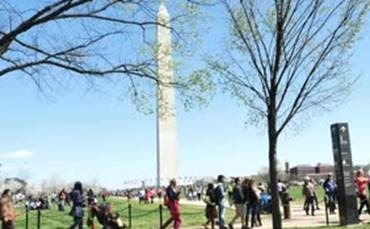 Did you notice the Global Warming hysteria in DC over the weekend? No, I’m not talking about the Paris Accords … I’ll get to them later. I’m talking about Christmas shoppers strolling the streets of DC in shirtsleeves with temps in the 70s. So, I feel obligated to draw attention to the “historic” Paris Climate Change Accords. Are people buying in to climate change? How big of a worry is climate change? 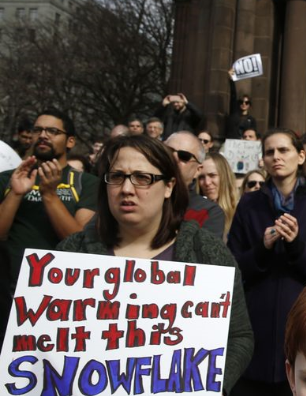 According to Gallup, a slim majority of Americans think that climate change is “not a worry at all” or is “a little bit of a worry”. The issue ranks #14 on Gallup’s list of top worries … about twice as many people think that the economy and government spending is a big deal. People are way more concerned about crime & violence, terrorism and the availability & affordability of energy. 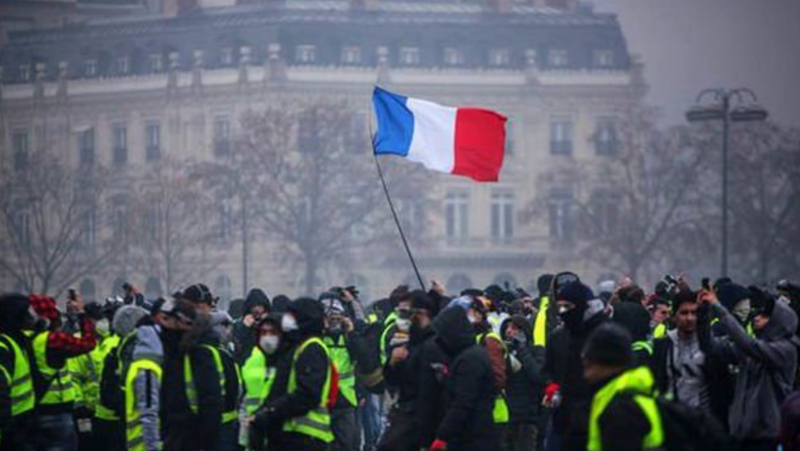 Yesterday, we looked at some of the doomsday forecasts about what’s likely to happen if world leaders don’t take significant anti-carbon action at the Global Summit on Climate Change. Most of the doom & gloom comes from what scientists speculate happened here on earth a couple of hundred thousand years ago. Like they have good data from a million years ago, right? Today, let’s look at some more recent history. First up is the 18 year “pause” in global warming. Over the weekend, the NY Times published a piece by Curt Stager — a professor of natural sciences at Paul Smith’s College. The cleanup (of the carbon already in the atmosphere) will take tens of thousands of years even if we switch quickly to renewable energy sources. When the Earth’s slow cyclic tilting and wobbling along its eccentric orbital path once again leads to a major cooling period some 50,000 years from now, enough of our heat-trapping carbon emissions will still remain in the atmosphere to warm the planet just enough to weaken that chill. I’m not a big Warren Buffet fan. He’s a big fan of Barack Obama, and is always being rolled out as the sage of American business. He whines about how his secretary’s marginal tax rate is higher than his … but, he doesn’t consider paying her more to cover the difference … he just asserts that my taxes should be higher. Where does Buffett come out on climate change? Weather: Make it, don’t just report it. I thought it was a clever line … and use it in class … to raise the old expectation’s bar. Well, apparently former Mexican President, Felipe Calderon and his buddies at Davos heard the same admonition. According to sources, the Davos leaders are calling for an unprecedented investment of $14 trillion to green the global economy, to stop climate change and to preempt hurricanes.